NCsoft is throwing open the gates of the City of Heroes to returning players next weekend, with double experience on tap for those with a bit of time to kill bad (or good) guys. 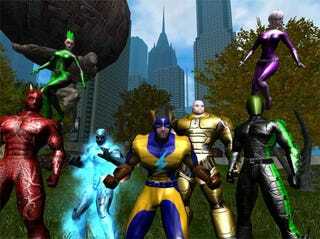 Between the Mission Architect and the recent addition of power customization, City of Heroes is a much more interesting place to be than it was at the beginning of the year, and Paragon Studios wants lapsed players to come back and see what they've been missing next weekend. From October 8th through the 11th, all accounts in good standing will be reactivated so players can simply download the client and go to town...or city. On top of that, everyone who plays during those days will earn experience points twice as fast. Just be prepared for that sudden stop when the event comes to a close.